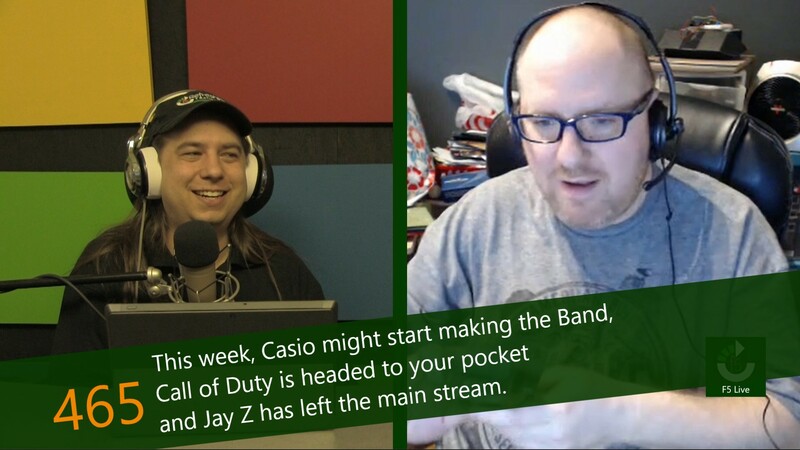 This week, Casio might start making the Band, Call of Duty is headed to your pocket and Jay Z has left the main stream. When Microsoft released their initial Band hardware, stores sold out on launch day. In fact, through almost the entire first model, Microsoft couldn't produce them fast enough for the demand. Customers were so happy with their first generation that when the Band 2 was released, many upgraded to the new features. Around the time that a Band 3 was expected to be announced, there was silence from Microsoft. There is no denying that the Call of Duty franchise is a powerhouse in the console gaming world. When a new game launches, it sells more in its first week than most titles will in their entire lifespan. With that kind of gaming power, combined with the success that Nintendo has seen bringing their franchises to mobile platforms, and it was only a matter of time before CoD landed on your phone. One of the things that the internet has created is a way for nearly anyone to say anything for very little money and make it look good. A complaint on social media in recent months has been about the "rampant spread of fake news" online. That term means different things to different people, and can range from absurdly inaccurate information to information that disagrees with the reader's preexisting beliefs on the subject. If you are a fan of Jay Z's music and a subscriber of either Spotify or Apple Music, you might have noticed a lack of his music this weekend. That is because the artist's music was removed from those services at the request of the artist. The move was done without prior communication with either service, but has been confirmed as an active decision. At this point, the only music you will find from Jay Z are singles, mostly collaborations with other artists.